Teodor Garabet, born in 1931 in Bucharest, Romania, was educated in the German Protestant cultural environment. He completed his studies as an electrical mining engineer with a degree in 1955; he is married with two daughters. Teodor Garabet speaks Romanian, German, English, French and Italian. After working for a short time as an electrical mining engineer below ground at the lignite company Filipestii de Padure, he moved to the state-controlled rolling mill Engineering Institute IPL ( IPROLAM ) of the Romanian Metallurgy Ministry, where - until he emigrated to Germany in the early 1970s - he managed several modern rolling mill projects with long-term construction site supervision in close cooperation with Siemens, AEG, Brown Boveri and other companies. During this period he was awarded an Order of Merit by the Romanian State. From 1970 to 1986 he worked with Eisenbau Essen GmbH, an advisory subsidiary in the industrial plant export business of Ferrostaal AG in Essen, as a travelling project manager, canvasser and foreign representative for Latin America, Africa and the Gulf States. 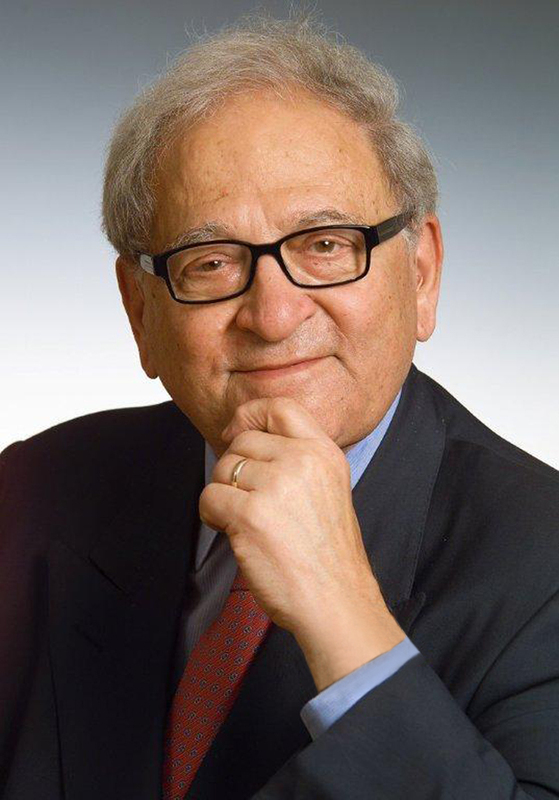 During this period Teodor Garabet generated an incoming order volume of more than half a billion Deutschmarks and played a crucial role in laying the foundation stone of a multibillion project of Ferrostaal AG in Nigeria. In Los Angeles, USA, he was a partner, building owner and project manager between 1986 and 1991 at WJM (Western Jewelry Mart Partnership) for the $27 million real estate project "The Jewelers Mall of Los Angeles". During this time he came into contact with leading politicians in California and the City of Los Angeles, receiving several awards. He worked from 1989 to 1991 for Mannesmann Anlagenbau as a consultant and canvasser for a large-scale acquired project of Aramco in Saudi Arabia. After his return from the USA, he worked between 1992 and 2012 as a shareholder and Managing Director of Inpec Engineering GmbH and the subsidiary Inpec Engineering SRL in Romania, both of which operated as consultancy firms and agencies also for leading German corporate energy groups, particularly Siemens AG, Ruhrgas, EnBW, Bayernwerk/ E.ON, Steag, Österreichischer Verbund. During this period the order receipts for Siemens AG alone in the field of energy transport and distribution reached approximately €180 million. At the same time, several German-Romanian energy forums were established, as well as numerous contacts with leading politicians and public authorities. Teodor Garabet founded the Romanian firm Stega Construct SRL in order to put up the exclusive bank real estate project CASA STEGA in Bucharest from 1997 to 2007 as the building owner, general building contractor and operator. Since 2011, Inpec Engineering GmbH has been concentrating on the German and Austrian market, particularly in order to assist foreign clients with their entry, growth or activities in the market. Firms such as Prisma Impianti and Tamini Trasformatori Italy have issued Inpec Engineering GmbH with their mandate for the industrial and energy market in order to achieve an across-the-board and intensive introduction with respect to steelworks and energy supply companies. From the middle of 2016 to the beginning of 2018, Inpec Engineering GmbH represented the Italian transformer manufacturer Getra S.p.A. The company Shandong Power Equipment from China has been a further client in the field of energy networks since 2016. 2018, INPEC Engineering GmbH receives the mandate for the SGB-Smit group in Regensburg, Nijmegen and Sibiu. With market studies and targeted acquisitions in the industrial sector, new markets are to be obtained for the Group.